My PowerBook G4 (17″, 1GHz) was having more and more problems charging its battery. More often than not, when I plugged it into AC while turned on, it would flip back and forth every couple of seconds between showing it was plugged in and showing it was running off battery, with the screen brightening and dimming each time, and making a loud whining noise. It got to where I usually had to put it in sleep mode or turned off in order to charge the battery. The battery wasn’t the problem; it was a new replacement battery that worked fine in an identical PowerBook. Some searching turned up a web page claiming to describe a fix for this problem. The author of the article describes symptoms like I was seeing and attributes the problem to Apple’s power connector design, which gradually wears out. 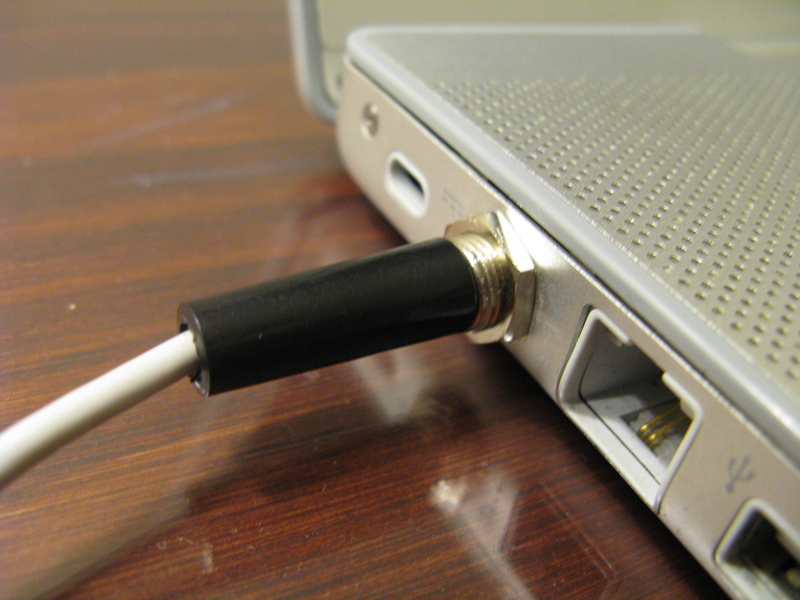 He describes how to replace the PowerBook’s power jack and the power supply’s plug with generic power connectors from Radio Shack. I decided it was my only option for trying to get my laptop working reliably again, so I tried it. The article’s author has a 15″ model, which is disassembled differently than my 17″, so I had to adapt the instructions. 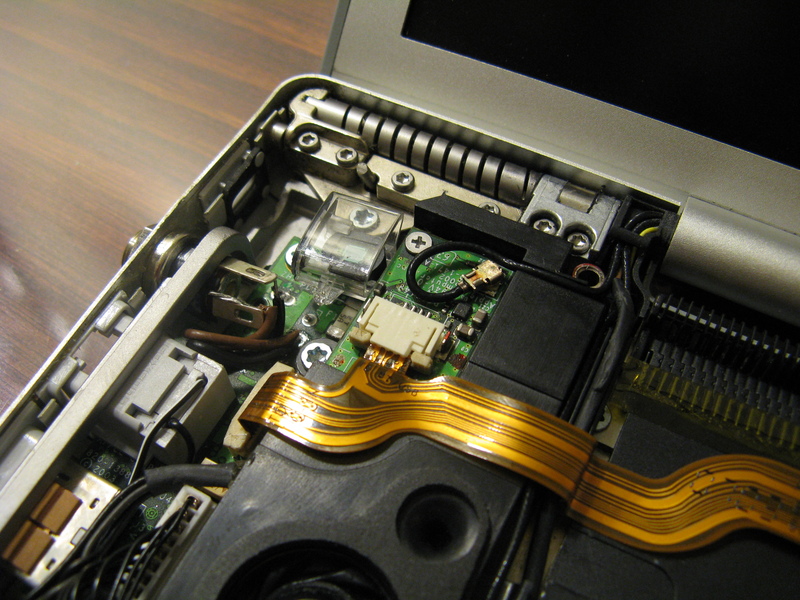 I used the following guide from iFixit.com: Installing PowerBook G4 Aluminum 17″ 1-1.67 GHz RJ-11 Board. I used a size N DC power plug and jack, Radio Shack part numbers 274-1583 and 274-1573, and they fit well, with no extra washers needed. It works! My PowerBook now charges while turned on and doesn’t emit a loud whine when plugged in. I never thought I’d be hacking laptop hardware, but having someone blaze the trail gave me the courage.